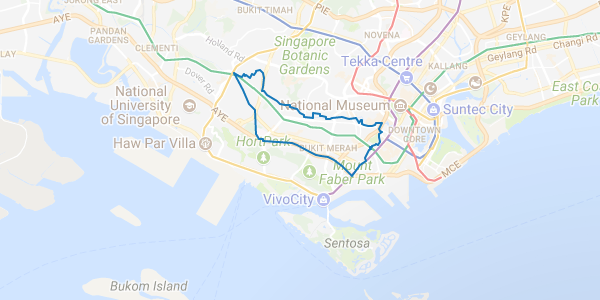 Singapore’s District 3 is comprised of Tiong Bahru, Alexandra and Queenstown. It is located at the city fringe in the Central Region of Singapore. District 3 contains a good mix of public and private houses and is a popular choice amongst home-buyers due to its proximity to the Central Area. Tiong Bahru is famous for its local food fare at the renowned Tiong Bahru Market & Food Centre. Voted one of the best hawker centres in Singapore, Tiong Bahru is a popular destination amongst Singaporeans craving some good ol’ local delicacies. Housing supply in District 3 has expanded in recent years with the erection of more private housing developments. Popular housing projects in District 3 includes Commonwealth Towers, The Crest, Alex Residences, Tanglin View and Queens, and so it remains a strong region for property development.